During Wade’s baseball days, we traveled a lot. For one reason or another, we decided to unwind after the end of a season and recharge with one extra trip. We had been living in Florida all summer, so the Blue Ridge Mountains seemed like a way to skip the heat and beat the sand. 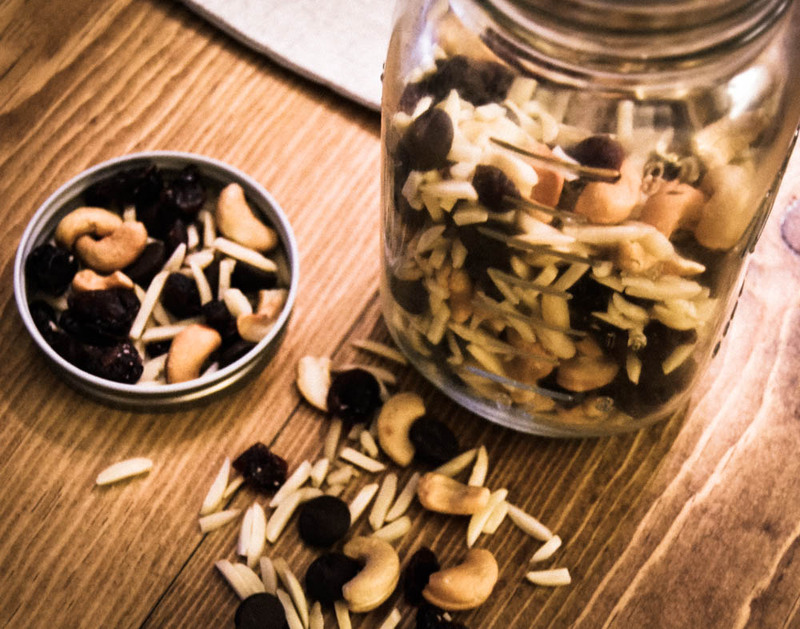 As much as we soaked in the beautiful scenery, world class spa, and intense racquetball competition, we also indulged on the complimentary trail mix like starving squirrels. 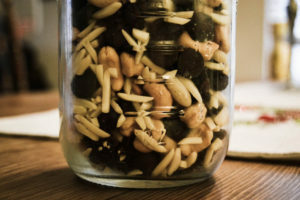 It was our quick pick-me-up between savory meals and chilly hikes, and this mountain mix continues to be a staple in our pantry for quick fuel during some less than serene days. Happy trails! 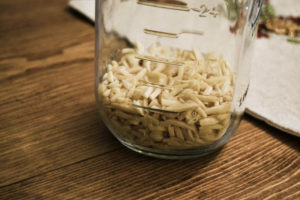 Start with a graduated jar and add 8 ounces of almond slivers. 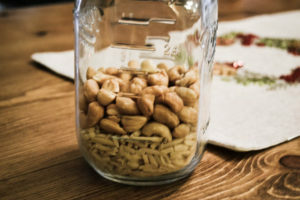 Top with 8 ounces of unsalted cashews. 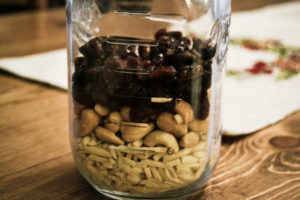 Add 4 ounces of dried cranberries. I prefer the unsweetened sort. 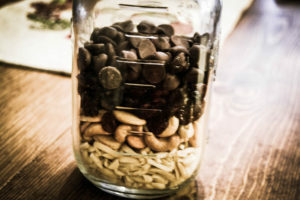 Add a layer of dark chocolate chips (nearly 4 ounces). Cover, shake, and enjoy by the lid-full or two. How simple is that?